In the location of Plintri, 300 meters from the famous super paradice beach are for sale a complex of 3 villas, ideal for tourist exploitation. 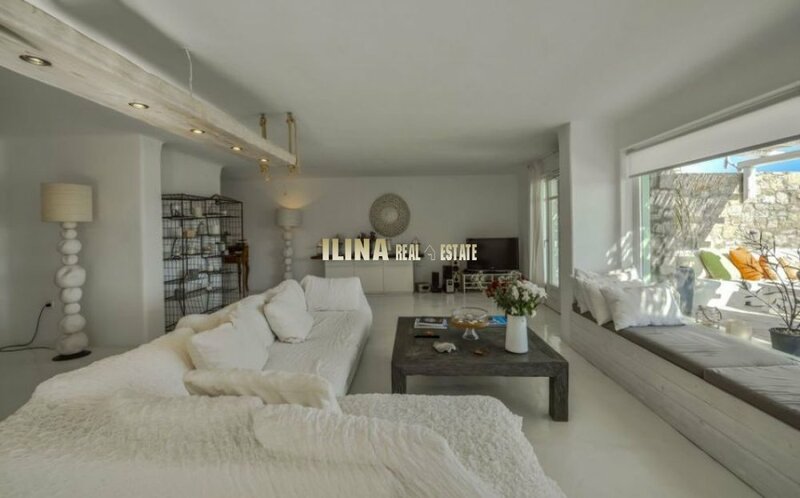 This elegant villa is a state-of the-art-design, ideal for people with a fine taste for life. 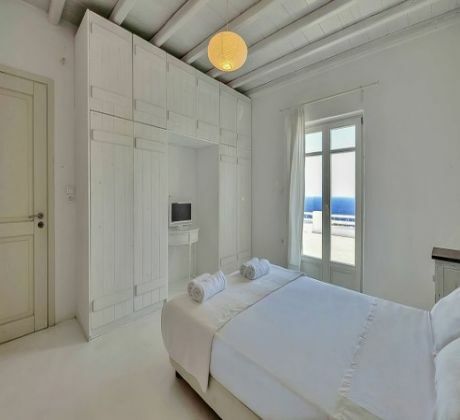 It consists of 2 bedrooms in the upper floor with en-suite bathrooms and separate toilets.Τhese bedrooms have access to a large veranda with a spectacular sea view. 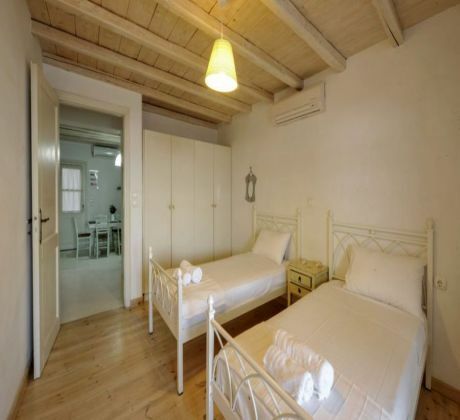 A third bedroom with en-suite bathroom is located on the ground floor which is actually a large studio connected with the main house but also with its own entrance for extra privacy. 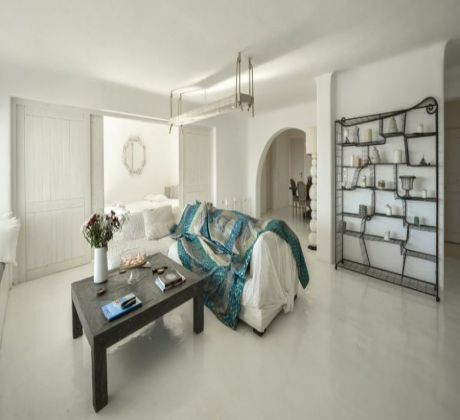 A very large living room is also located on the ground floor with an extra sitting area which can be separated by a sliding door. 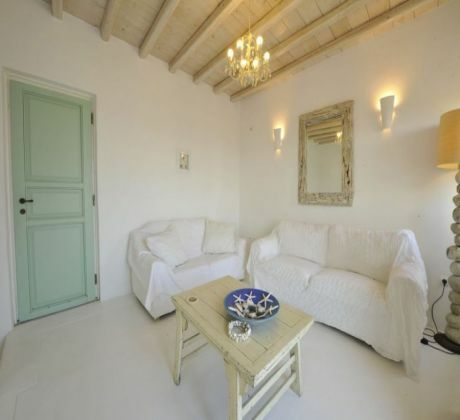 In this extra sitting area there are two built-in couches which can also be used as sleeping space for two extra guests. 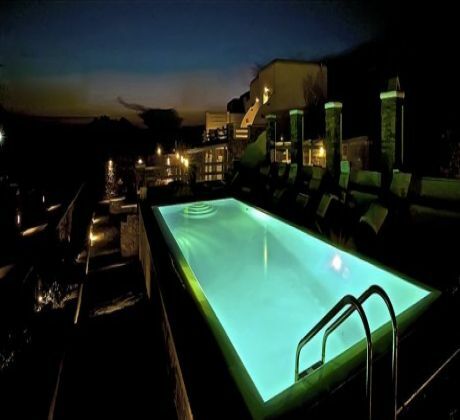 Direct access is available to the pool from the living room. Another independent studio is located near the pool with a double bed, en-suite bathroom and small kitchenette, ideal for a couple. 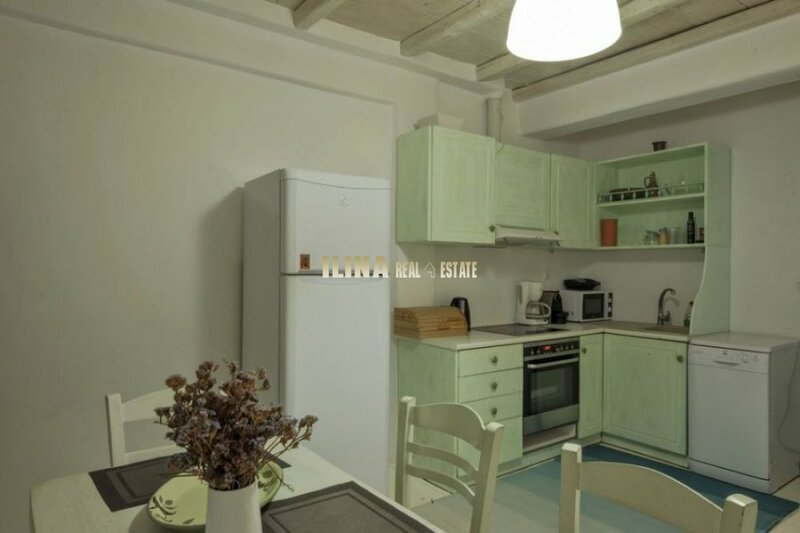 A fully equipped large kitchen leads through a small hallway to the dining room which is a part of the living room. 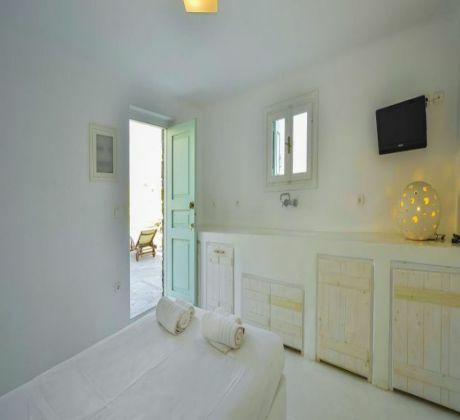 The villa is fully air-conditioned and all rooms have a TV. The living room has a 42" wide-screen TV and a hi-fi system with Bose speakers where you can enjoy moments of relaxation. 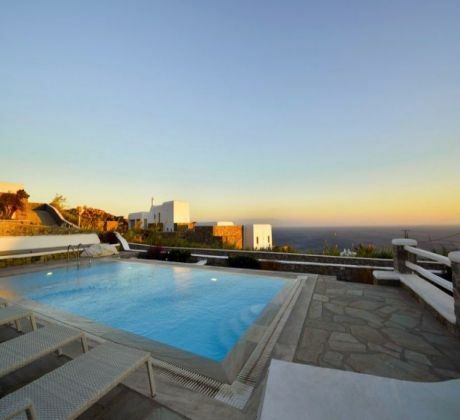 The private swimming pool with the outdoor furniture is ideal when you wish to stay at home. There is an outside dining area under a shaded pergola with a large table where you can have breakfast, lunch or romantic dinner. 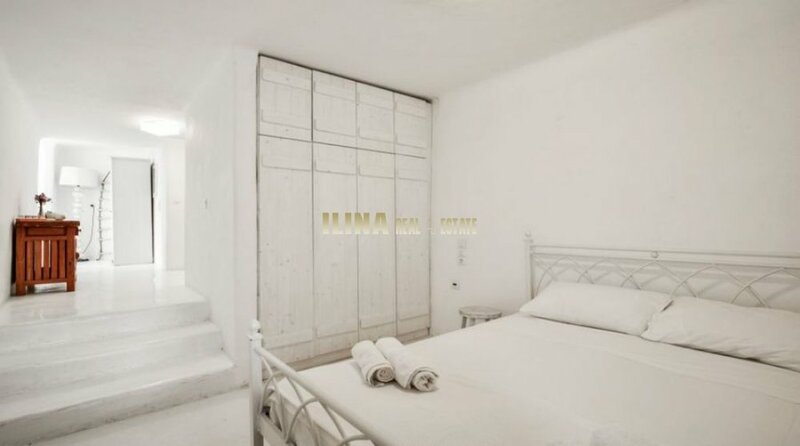 The white colored walls and furniture in the interior create a sophisticated atmosphere. 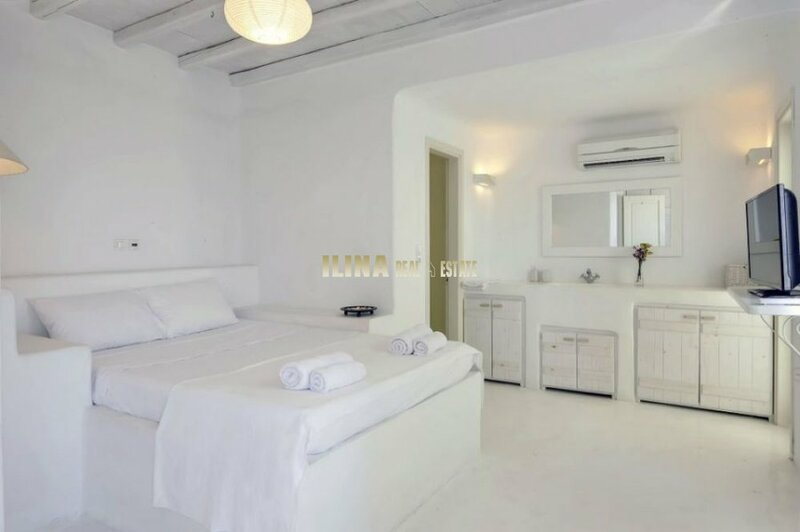 One of the main characteristics of this villa is that all bedrooms have en-suite shower rooms with separate toilets which gives an extra privacy.The villa was designed by a famous Greek architect who combined the local Cycladic architecture with the modern design. The villa can accommodate 8 people max 10. There is a parking space for 3 cars. 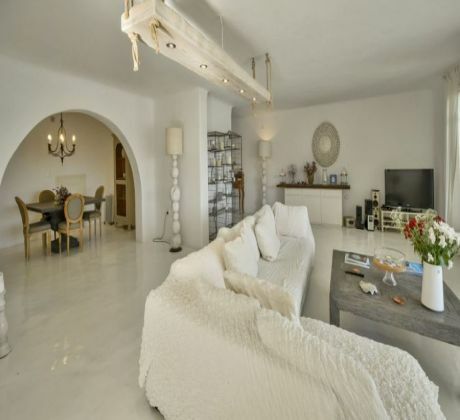 This villa consists of 2 adjacent maisonettes (apartments) and a large studio (C). Maisonette (A) has two bedrooms on the ground floor (one with en-suite bathroom), a big kitchen/dining room and a separate bathroom. The living room is on the upper floor offering spectacular sea view. Maisonette (B) has one bedroom, separate bathroom, kitchen/dining room on the ground floor and a spacious living room on the upper floor with a sofa bed which can be used as a sleeping room for extra guests. 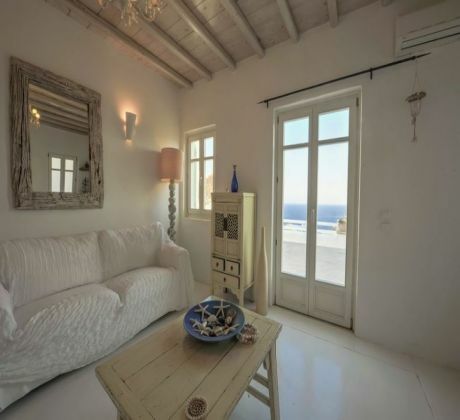 The maisonettes have both access to a veranda with a fantastic sea view on the upper floor. 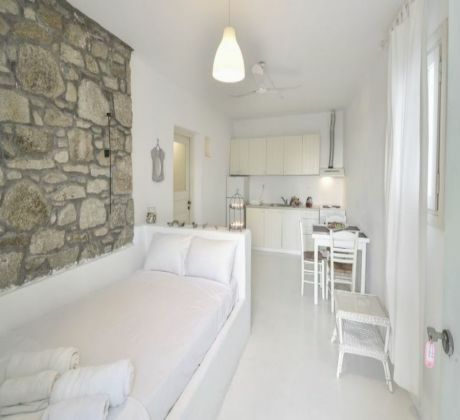 Studio (C) adjacent to maisonette (B) with its own entrance consists of one bedroom with en-suite bathroom and a big sitting area with a build-in double sofa/bed for extra sleeping guests and open plan kitchen. 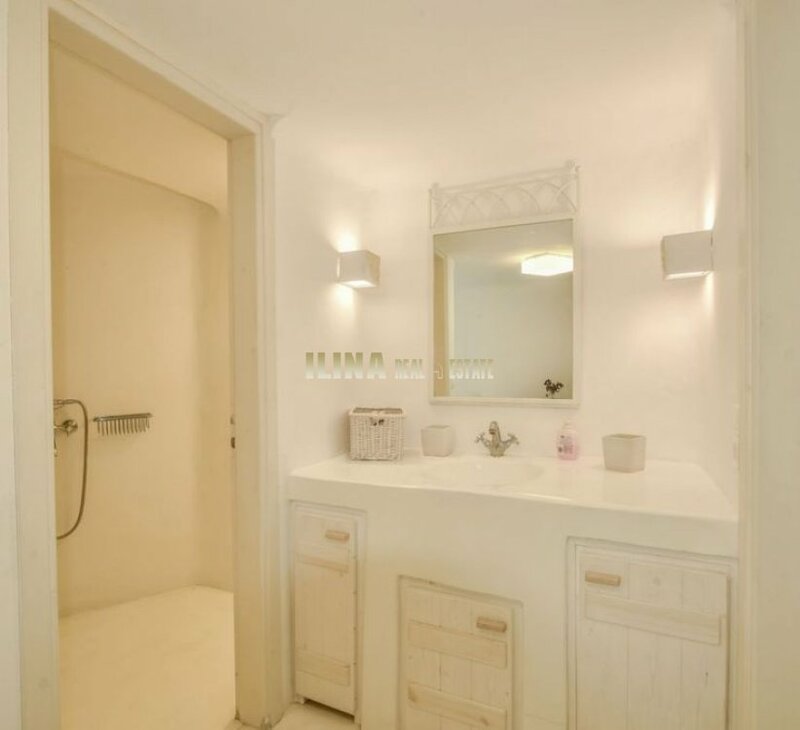 All rooms in the maisonettes are air-conditioned. Τhe studio has a ceiling fan. All living rooms have a TV and hi-fi. 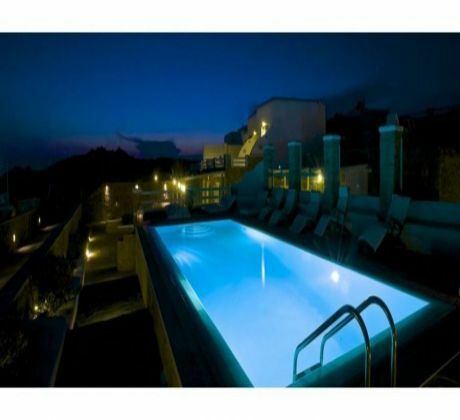 Villa 2 has a private swimming pool 5mx10m with a perfect sea view giving the "infinite pool" feel. There is a parking area for 3 cars. 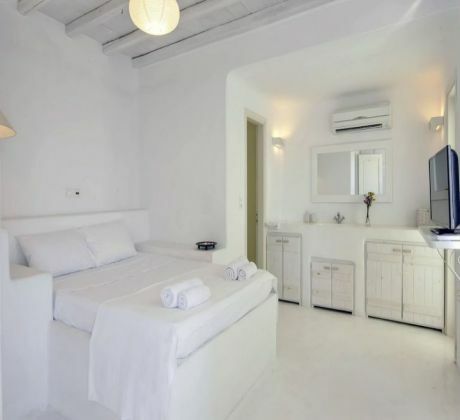 Villa 2 can accommodate 11 people max 13. VILLA IN SIVOTAThe Villa is built on a hill, surrounded by trees. VILLA IN PILIOFascinating and beautiful villa in the Mediterranean coast. VILLA MYKONOSLuxury villa on Mykonos. 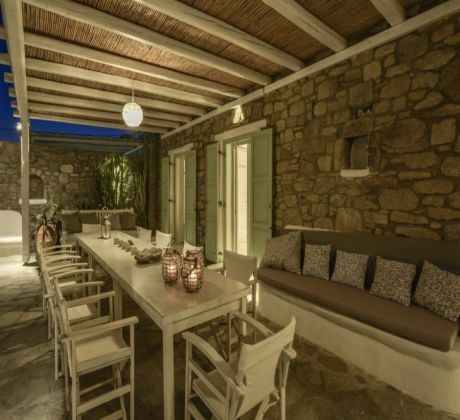 VILLA IN KOROPIVilla in Koropi is built amphitheatrically on a plot of 6.000 m2. 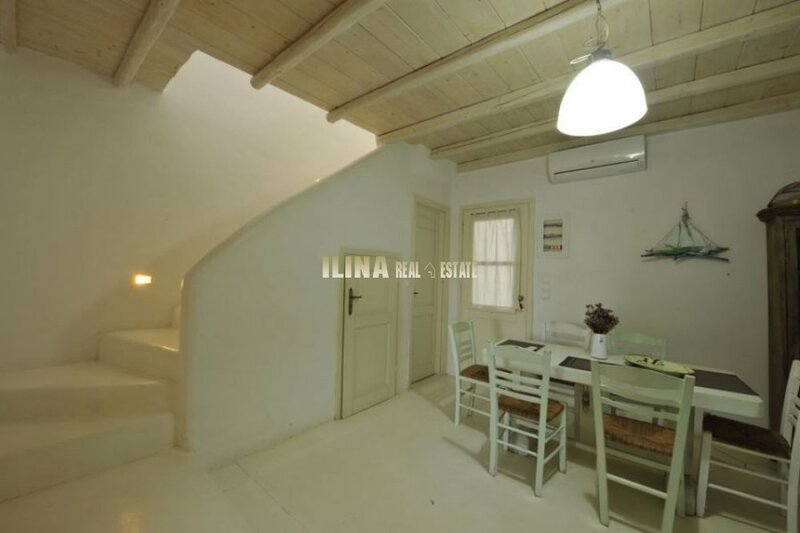 VILLA IN LEROSVilla in Leros Island in Greece for sale. 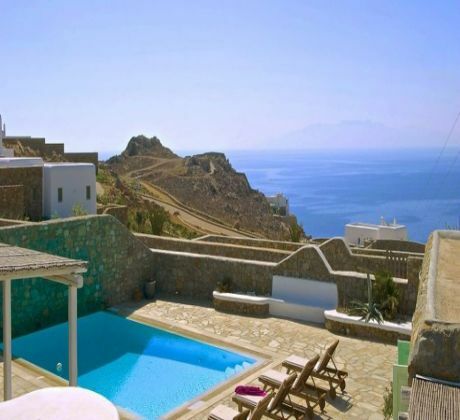 VILLA MYKONOSUnique Villa for really unforgettable stay. 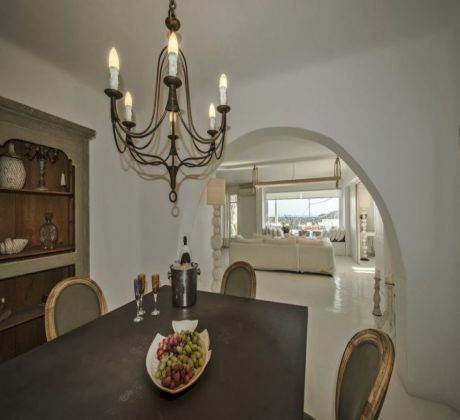 VILLA ON CORFULuxury villa located on Corfu island. 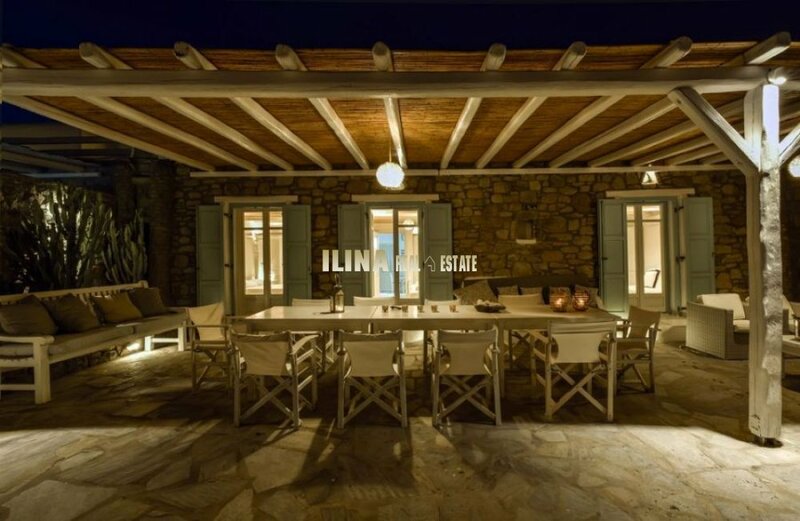 VILLA CHALKIDIKIVilla project next to the sea.